The NFL has poached another from the roster of the BC Lions after it was reported today that defensive lineman Ricky had signed a contract with the Seattle Seahawks. 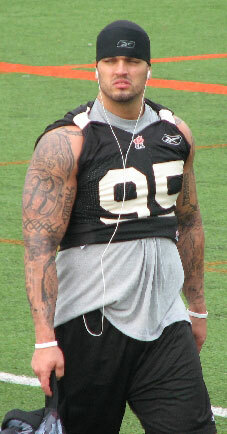 Foley the CFL’s top Canadian player in 2009, led the team and the league with 12 sacks last season. Taking advantage of the departure of Cameron Wake, Foley grabbed the open starting spot and ran with it in 2009 racking up 51 tackles as well. Foley, who was scheduled to become a CFL free agent on February 15, is a native of Courtice, Ontario led the CFL in sacks last season with 12, also recording 51 defensive tackles for the Lions. Foley was a standout on York University’s football team and was selected fourth overall by the Lions in the first round of the 2006 CFL Draft.